This month on the blog, we are featuring some painters new to the Dynasty Artist program. 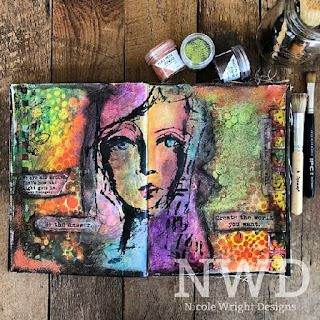 It is our pleasure to introduce you to Dynasty Artist Nicole Wright of Nicole Wright Designs. Our questions to Nicole appear below and her answers follow in red. All photos appear courtesy of the artist. "I live in Calgary Alberta, Canada. I live along the Canadian Rockies where the Rockies meet the prairies. I hike, kayak and camp all year in the open prairie and all throughout the Rockies. I gain a lot of inspiration from the beautiful landscapes that surrounds me. Our winters are long, cold and unforgiving. This gives me a lot of time to create." "Dynasty Artists, followers and makers are amazing painters. I have thoroughly enjoyed being exposed to all their inspirational work. I am less of a painter and more of a mess maker. My passion is Mixed Media. I love blending outside the lines, stenciling, layering tissue, old book pages, stamping and textures. I blend may paints, crayons, textures, glazes and wax with my Dynasty brushes. My brushes make it possible to for me to get to my next level and up my personal game." "I have only been using my Dynasty brushes for about 5 months. I was asked if I wanted to try them out and I asked, 'Can they handle what I put my brushes through?' Heavy gesso, plaster, matte medium, paints with sand textures and texture pastes to name but a few. Layering all of these things at once and achieving the look I want needs to work hard for me. 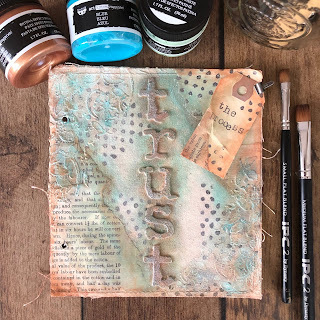 On art journals, canvas, wood, burlap, linen. Just a few substrates I work with all the time. In case you’re wondering if I feel my brushes can handle what I put them through, they can." "My creative projects are shifting constantly. I design with many manufacturers’ products, mediums, inks, paints and die cuts. I prefer to be challenged and challenge those that follow me. It is my job to take what I might not normally work with and make it mine. So it’s clear I designed it. I love to maximize my supplies and try to share how to use whatever it is in multiple ways." What Dynasty brush is your favorite? Why? "I have a few I really love. I am new to the Dynasty Brush line, but I am already playing favourites. 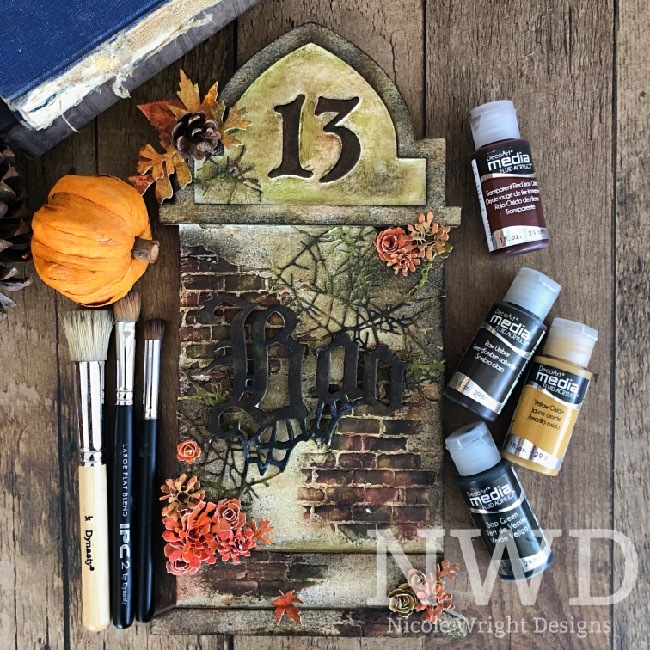 The Flat brushes are my go-to for blending my paints, waxes and glazes. I use the stencil brushes almost as much. They aren’t just for stencils in my studio. I often use them when I have used texture paste. Here, I can blend deep into those impressions with multiple layers of paints and wax. This technique really adds those layers of texture and colour I strive for." Where can we find you designing? "These days you can find me designing for some of my favourite manufactures. I have my own stamps with Emerald Creek Craft Supplies. I am a Contributing Writer for Canada’s largest paper craft magazine, Creative Scrapbooker Magazine. I teach for them at their annual event The Great Canadian Scrapbook Carnival held in Edmonton and Calgary Alberta in September. I also teach at scrapbook stores and mixed media retreats. I am a Ranger Ink Influencer sharing tutorials and inspiration projects with newly released product. I am also an Amazon Influencer. I was approached by Amazon to create my own Storefront on their website. Here I have created boards with all the products and manufacturers’ I use including Dynasty brushes." 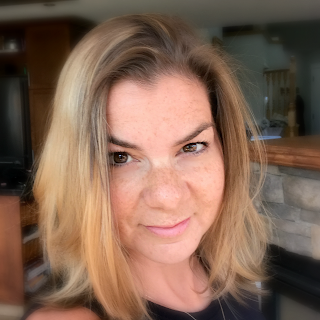 You can follow Nicole and her work on multiple platforms: her blog, her Facebook page, her Instagram, Pinterest, YouTube, and you can subscribe to her newsletter! We hope you have enjoyed getting to know Nicole and the kind of work she does! If you'd like to learn more about being a Dynasty Artist, comment below or reach out to us via direct message on Facebook, Instagram or Twitter. And as always, if you would like to know more about Dynasty and our commitment to creating high quality brushes for artists, crafters, and designers, please visit our website. Nicole, Thank you for sharing your creativity with us. Your work is truly spectacular.